Choosing from tons of plant materials and containers can be confusing. Sometimes you don't know where to begin. Well here are a few tips that we hope will help. First try to figure out what your style of decorating is. 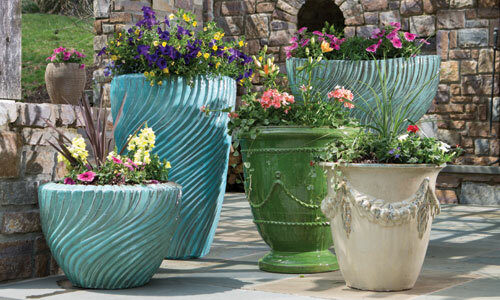 Are you into colorful planters with wild patterns and bold pigments? You love to plant green in them and have the focus be the container and not the plants. Or, do you like all white containers? This way you can plant all the colorful flowers you like and change it up from season to season. One season go all pink and the next season you plant all colors of the rainbow. All of these combinations work in a white garden planter or container. Do you like a traditional look where topiary trees are potted or do you go for something a bit more playful like a bright pot with grass shooting up out of it creating a wild look. Do you like mixing plants in pots or are you prone to one plant style per container? How about smell? Maybe you don't like a lot of fragrance or does the smell of something sweet drifting on the air excite you? 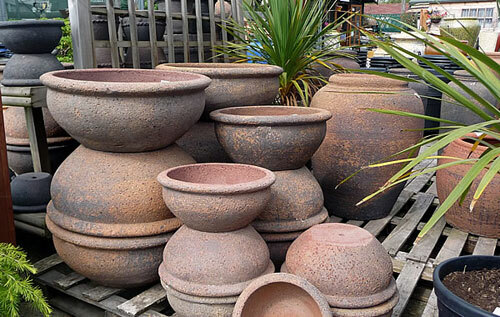 Some prefer to group many pots together and others like a simple bold statement! By answering these questions will help you to get started and make a decision before you spend a ton of money on something you are not happy with. Everyone has different tastes and not one is better than another. Discover what moves you and go with that. 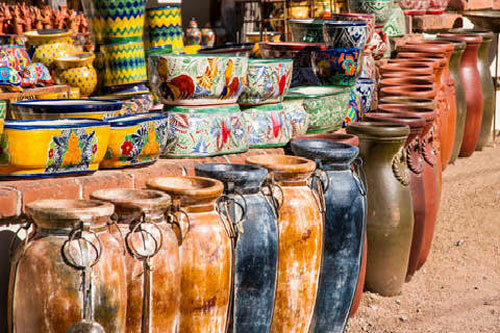 There is nothing more satisfying then sitting out on your patio, drinking a glass of tea, and admiring the decorative pottery you have surrounding you. Read more.....What is your style? Julie, can't say we know but a great question to try on google. Good luck and let us know what you found out! Do antique roses do equally as well in a deciduos summer shade location?